A few days ago,I discovered a new online clothing site named Boohoo.com. And guess what.... I haven't seen much of my books today! I first noticed the sites thanks to some other bloggers who featured them on their blog, and I decided to make some inspirational collages/wishlist material. I mean, since Christmas is only 18 days away, it's time to start thinking about presents! The best of all: Boohoo is like not expensive at all, everything is very affordable and very very pretty. Watch and see! I've been very into everything black lately, and I am not afraid to put on an all black outfit. The sweater reminds me of Givenchy, and that jacket with leather looking sleeves is just an item I desperately need. 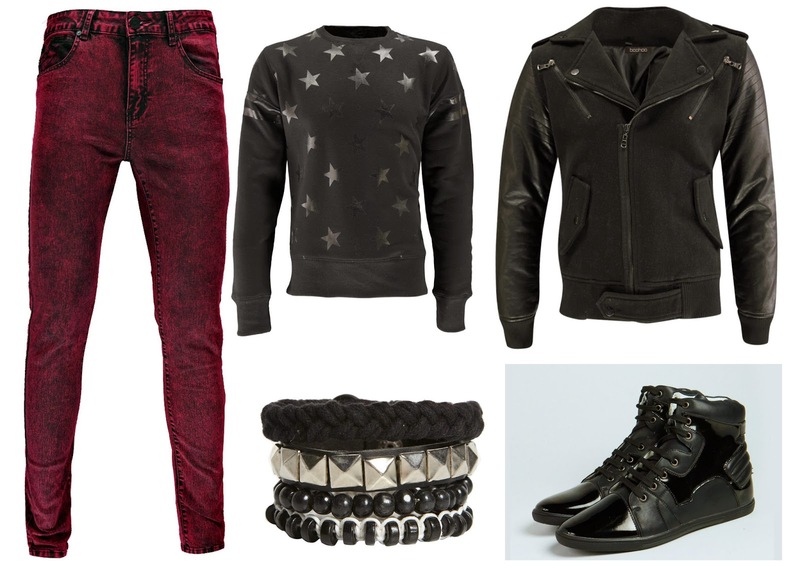 To add touch of color, I chose this reddish pants with black accents. To everyone thinking that this look might appear gothic-like, you're right. And guess what? I am loving it! Camouflage prints have been on for quite a while now, but I am finding new combinations with it every day. 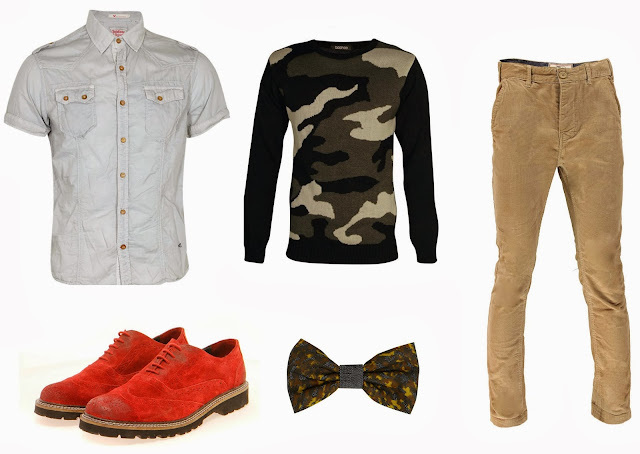 When I saw this beautiful all over camouflage printed sweater, I knew that it would be the key-item of this outfit, together maybe with the vibrant orange brogues. In my opinion they really take this outfit to the next level, and combined with the bowtie to top it all of, I must say that I wouldn't mind seeing this outfit hanging in my closet. Awh, thanks girl! Love it too! I've been doing the top look all Fall! I have a pair of red skinnies that I'm constantly wearing whenever the rest of my outfit is all black.